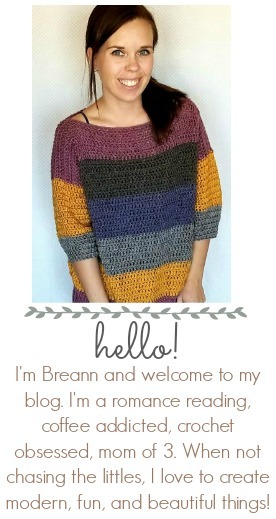 This Spider Web Cardigan Crochet Pattern is just what you need for October! And what I love about it is that you can wear it year round. It’s Halloween-ish, but not so obvious that you can’t pull it off anytime. 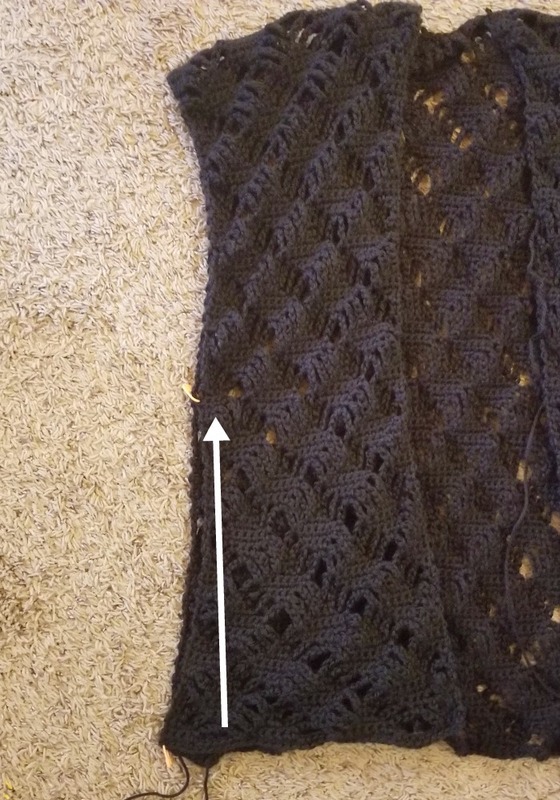 For the cardigan I used the Spider Web Stitch. 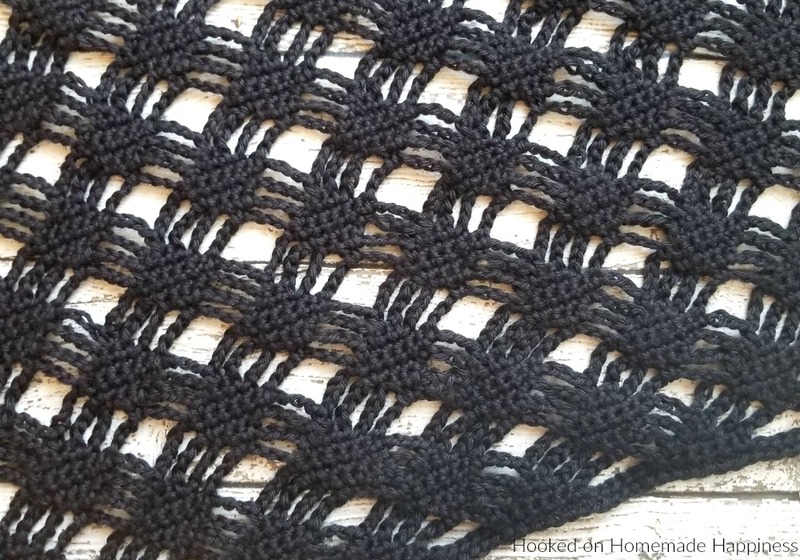 It looks complicated, but once you get the repeat down it’s a quick and pretty easy pattern. PS: I got my cute Halloween t shirt from Eek’s Attic! It’s so comfy with this cute saying on it. I love it! Repeat back pattern for front. Lay the two front pieces evenly on top of the back. 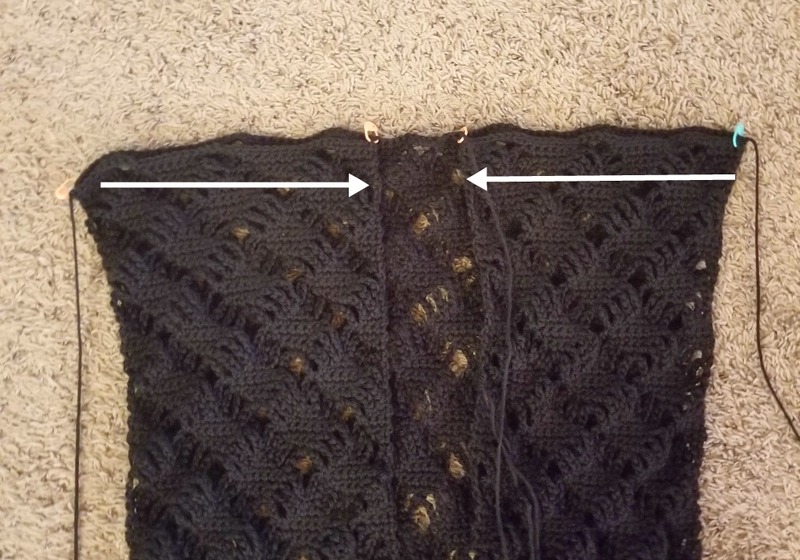 Use stitch markers to keep the pieces in place. Use the long ends and the yarn needle to whip stitch the shoulders closed. 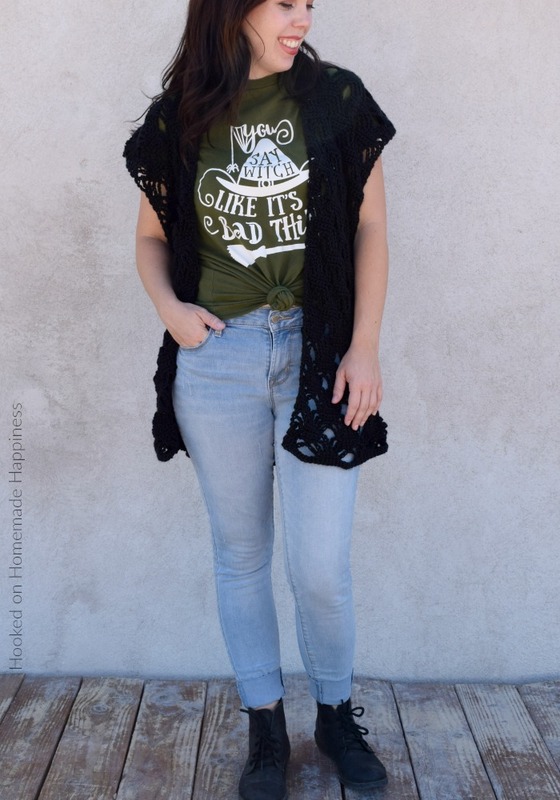 Try the cardigan on at this point. Mark where you want the sleeves to begin. Use the long end and the yarn needle to whip stitch the sides closed. 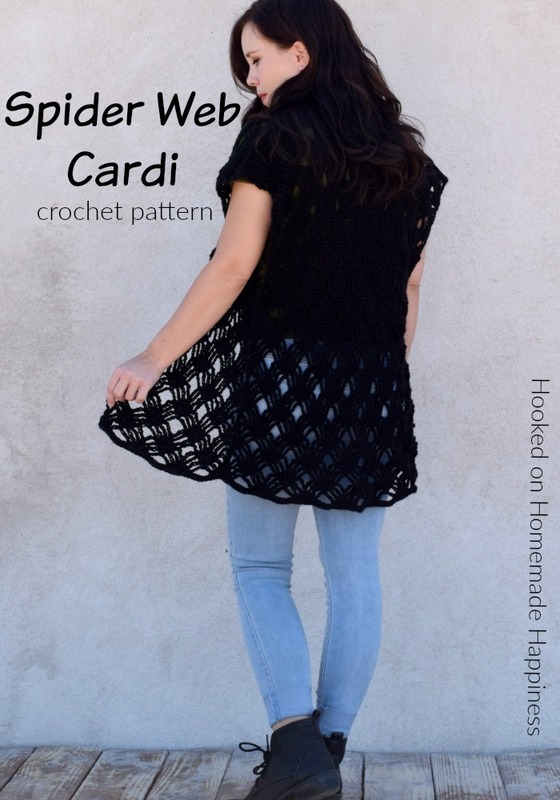 Wet block the cardigan for best results. 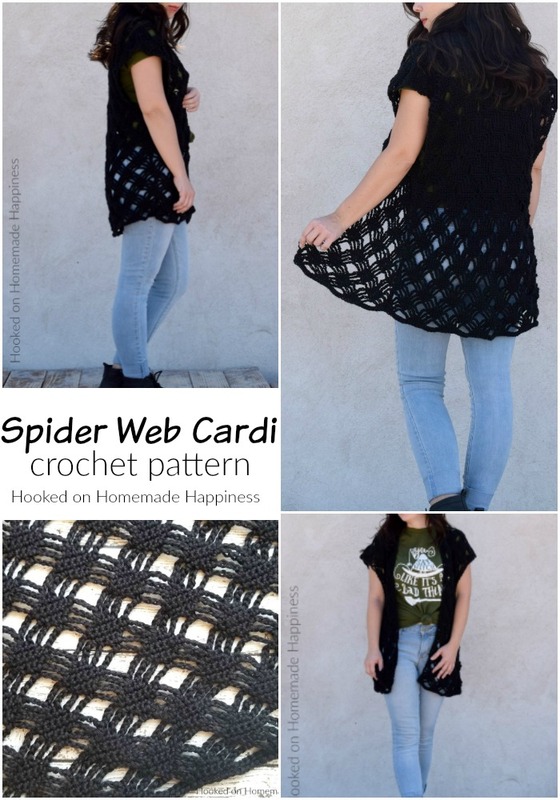 And you’re all done with your Spider Cardigan!! OMG, so cute! Perfect for Halloween and beyond!